Get answers to your technology questions now! ProProfs Training Maker is a cloud-based, learning management software specializing in online course creation for educational institutions and businesses. ProProfs Training Maker can be used for customer or employee-facing learning applications. The software offers training and educational programs through customized online assessments, surveys, courses and polls. 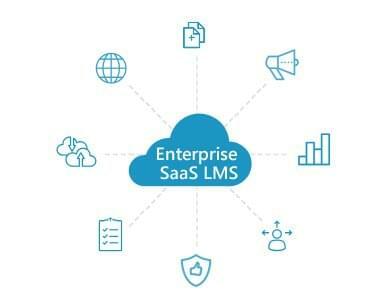 Users select documents, PDFs, videos, online content, presentations, and training resources to upload to cloud-based ProProfs LMS. Employees complete training in the virtual classrooms and submit proof of completion throughout the process. ProProfs software includes online HR training resources such as OSHA safety compliance training, employee training, harassment training in the workplace, customer service training and eLearning authoring tool. Users can establish online courses, assessments, training certifications and surveys. Features include automated grading, real-time analytics, course completion reports, advanced security controls and an all-in-one LMS, which includes ProProfs Quiz Maker and its more than 3 million free quiz templates. ProProfs LMS provides pre- and post-training support, and instructors can include pertinent training content in online courses, such as product manuals, company policies and relevant training materials. ProProfs LMS is supported on iOS and Android mobile devices, and Windows, Linux and Mac OS. Not sure if ProProfs LMS is right for you? Use our Product Selection Tool to compare other learning management software solutions. Have questions? Call one of our unbiased Technology Advisors for a free consultation. How can we contact you with pricing info? Make sure this product is right for your budget. Our experts will be in touch with all the pricing info you need. How should our experts reach you? Learn everything you need to know about ProProfs LMS. Our experts will reach out to you shortly.